Palestinian citizens of Israel face a mounting campaign of repression; growing popular racism and governmentincitement;a narrowing of democratic space, which was already highly restricted; continuous waves of land confiscations and house demolitions; and an increase in constraints on their lives and freedom ofmovement.This has occurred at the same time as the Israeli government has reduced its commitment to democratic norms. 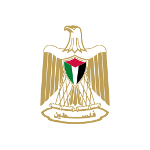 The High Follow-Up Committee for Arab Citizens of Israel is the official representative body of Palestinian citizens in Israel, and includes all the political parties, Arab Members of the Knesset, Arab mayors and heads of Arab local councils, and the main civil society organizations. We appeal to you to show solidarity on January 30, 2017 with our struggle for our rights. Today, we, the representatives of the Palestinians in Israel, repeat a call we launched for the first time exactly a year ago tothe rest of Palestinian people, the Arab world, and the international community.We ask you to organize events in support of Palestinian rights in the Galilee, Triangle, Naqab (Negev) and the mixed cities, as part of "International Day for Supporting the rights of Palestinian Citizens of Israel". We are aware that January 30 is a working day for many of you.So we propose that you hold solidarity activities as close as possible to that date. Palestinians in Israel are at the same time a component of the Palestinian people and Israeli citizens. Since its creation, Israel has imposed policies that systematically discriminated against Palestinian citizens and excluded them from exercising key rights. In recent years, and following the rise of the Israeli right to power, state policies have become much harsher and more discriminatory in all areas of life. In this short report, we have aimed to alert the reader to the main areas of discrimination, but we recommend supplementing it with additional material that is widely available. The Follow-Up Committee initiated on January 30, 2016 the first "International Dayfor Supporting the Rights of the Palestinian Citizens of Israel". This year, and in subsequent years, we aim to highlight the major challenges facing Palestinians in Israel. We believe international solidarity with our struggle to confront the state’s discriminatory policies is vital. We appreciate any help the international community can offer us during these difficult days ahead. The Palestinian Arab citizens of Israel are part of the Palestinian people dispossessed of their homeland in 1948, during the Nakba.. Some 153,000 Palestinians remained within Israel in 1948 and became citizens of the state. About a quarter of them were internally displaced, after they were forced to leave their villages and their homes destroyed. While identifying as part of the wider Arab world, the Palestinian Arab citizens of Israel represent a national (Palestinian), ethnic/racial (Arab), linguistic (Arabic) and religious (Muslim, Christian and Druze) national, homeland minority in Israel. Until mid-1966 the state of Israel imposed military rule on its Arab Palestinian citizens. During this period they suffered severe restrictions on their freedom of movement, massacres and expulsions, and land confiscations. Through the years the Palestinian community has continued a struggle to maintain its identity, language and sense of belonging to its people, and to assert its rights. The peak of that struggle occurred on March 30, 1976, known as Land Day, when protests erupted after the government announced its intention to confiscate a vast area of Arab-owned land in the central Galilee. Land Day has become a significant and symbolic day of commemoration, marking a radical shift in the community’s collective struggle for rights in its homeland. That struggle continues. Today there are about 1.5 million Palestinian citizens of Israel, constituting about 18% of Israel’s population. Despite the community’s status in international law as a minority group, Israel refuses to offer them recognition or protection in law as members of a national minority. Below we refer to a number of key issues that have arisen as a result of the Israeli political situation, and describe the wider climate of hostility towards Palestinian citizens of Israel. Equality and respect for human rights, democracy’s fundamental principles, are consistently ignored by Israel to protect its status as a Jewish state. According to Israel’s Basic Laws, Israel is a “Jewish and democratic state” . While Israel’s most liberal piece of legislation, the Basic Law: Human Dignity and Liberty (1992) grantsprotection from violations to citizens’ “life, body or dignity”, this right is subordinate to the values of Israel as a Jewish state . It does not include recognition of the fundamental rights to equality and freedom from discrimination, and instead emphasizes the state’s Jewishcharacter . Israeli legislation reinforces the poor socio-economic and political status of the Palestinian Arab community. While the rule of law is largely respected in Israel, a significant number of laws were created with a specific intention to discriminate, exclude, marginalize and even expel Palestinian Arab citizens. In fact, many of Israel’s laws are in direct violation of the international standards and treaties it has ratified. Recent reports both from the Israeli government and the OECD show that systematic discrimination against Palestinian citizens is costing the Israeli economy billions of shekels each year . Israel was placed last among OECD members on the grounds of its continuing discrimination against Palestinian citizens , while Palestinian women in Israel are viewed as the country’s most marginalized group. Recently, there has been an escalation of violence relating to the security and political realms in Israel, which has had severe consequences for Palestiniansin Israel and the occupied Palestinian territories. With no political resolution in sight, the State has implemented a wide array of repressive security measures. A recent example was the decision of the former Defense Minister, Moshe Yaalon, on behalf of Benjamin Netanyahu’s rightwing government, to outlaw the Northern Branch of the Islamic Movement on November 17, 2015. Another 20 institutions associated with the Islamic Movement were banned, including institutions dealing with orphans, health, education and development issues, many of them in the Naqab (Negev). These developments have taken place against a backdrop of intensifying racism and hostility from the Israeli public, media and governmentdirected at Palestinians, both in Israel and the occupied territories. That has contributed to public support for extreme measures that violate the basic human rights and fundamental freedoms of the Palestinian Arab minority. Instead of combating the proliferation of racist sentiment among the public, the Israeli government has often incited toward greater animosity and fear. A hyper-militarized culture of incitement and belligerence has arisen among the Israeli police and civilians that views the Palestinian minority not as fellow citizens, but as enemy combatants. That was underscored in November 2016 when the police and government ministers, including primeminister Benjamin Netanyahu, accused the Palestinian minority of being behind a wave of fires that swept Israel, referring to it as an “arson intifada”. In reality the fires were caused by a combination of prolonged drought and unusually high winds. Despite dozens of Palestinian citizens being arrested on suspicion of nationally motivated arson, all were released without charge. No official has apologized for what amounted to dangerous incitement against the entire Palestinian community in Israel. Notably, Israeli security forces and police authorities have demonstrated an eagerness to use excessive force against Palestinian citizens – andnot only individuals suspected of criminal activity. Palestinian Arabs, especially youth,taking part in non-violent demonstrationshave been subjected to aggressive police action. Police brutality was especially evident in January 2017 when large numbers of Border Police arrived in the unrecognized village of Umm al-Hiran in the Naqab to destroy 15 homes there, as part of an ongoing campaign to forcibly remove all of its inhabitants. The police shot one of the villagers, Yacoub Abu Al-Qiyan, as he tried to leave the village by car. A leaked autopsy report indicates that he was left to bleed to death over 20 to 30 minutes by police who refused entry to an ambulance to treat him. Arab Knesset member Ayman Odeh, who was present in the village, was shot twice by sponge-tipped bullets, including to his head, and needed hospital treatment. The events at Umm al-Hiran also highlighted the growing useof incitement by police and the government against Palestinian citizens. Police immediately accused Abu Al-Qiyan of conducting a car-ramming “terror attack” on police, in which an officer was killed. Witnesses, however, testified that Abu Al-Qiyan had lost control of his car on a hillside in the village after police opened fire on the car. The witnesses’ testimonies were supported by a police video and by the leaks of an autopsy report.They showed that the police fired on the car when it was moving slowly and cautiously, and that Abu Al-Qiyan was hit in the torso and knee. Police also publicly declared Abu Al-Qiyan was a supporter of ISIS as motivation for hi supposed “terror attack”, without providing any evidence. Those who knew him have adamantly denied the police claims. Police refused to released his body unless the family agreed to a burial for immediate family members, conditions it has required previously only in security cases in the occupied territories. In addition, the Israeli government has indicated that it is prioritizing a campaign of demolitions of houses in the Palestinian citizenscommunities, especially in the Naqab (Negev),under the guise of “enforcement of the law”. The government has also tied increased budgets for Palestinian local authorities, which have been underfunded for decades, to their enforcement of demolitions of “illegal” buildings. There were strong indications in January 2017 that the government was stepping up its campaign of demolitions. Police forces destroyed 11 homes in the Palestinian town of Kalansuwe in central Israel. It also began demolishing homes in Umm al-Hiran, an unrecognized village in the Naqab to build a Jewish town in its place. In conclusion, we argue that only Israel’s compliance with overriding international norms can ensure justice, peace, security and stability, and calls on the international community to make good on its legal and moral commitments to the universal realization of human rights.We, as representatives of the Palestinian Arab population in Israel, urge you to express your deep concerns to the Israeli government about these repressive, anti-democratic trends and to call upon the State to review its policies in light of international standards.